 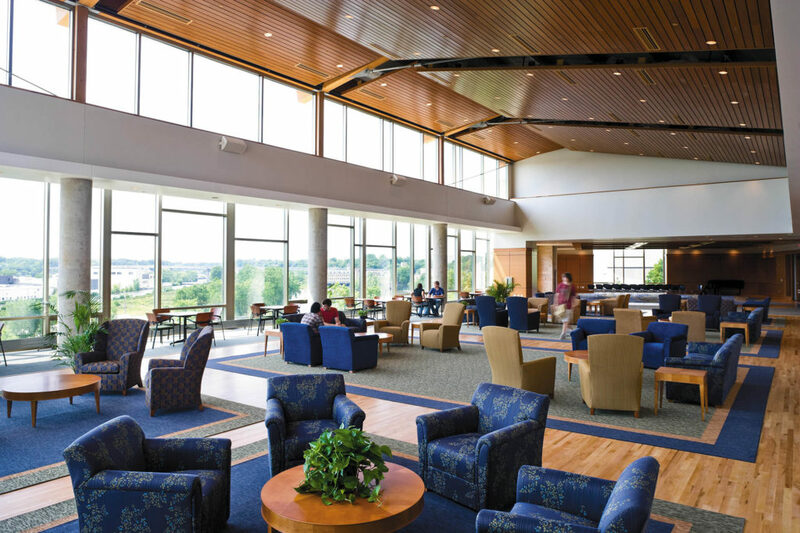 Lawrence University wanted a central gathering space fostering community as a campus living room. 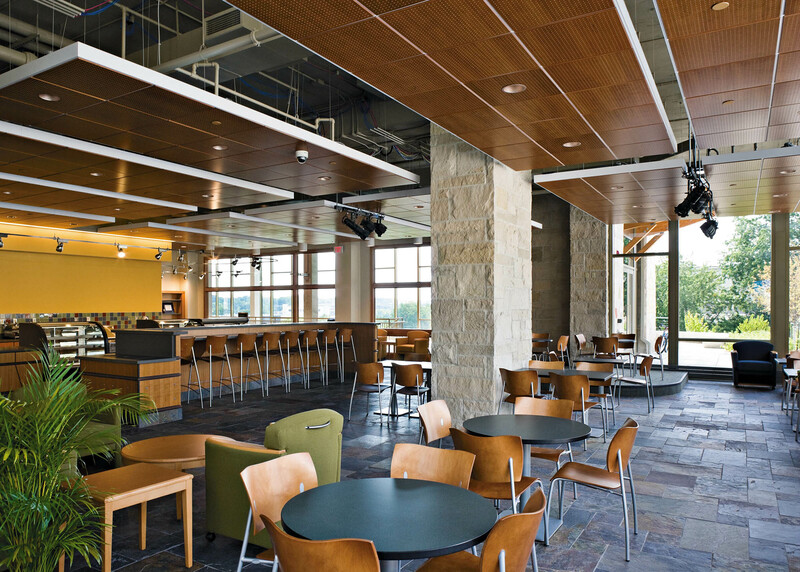 The building takes inspiration from a town square, and invites all who enter to circulate on all levels of its interior “streets” to find places to eat, study, congregate, seek entertainment, or just relax. 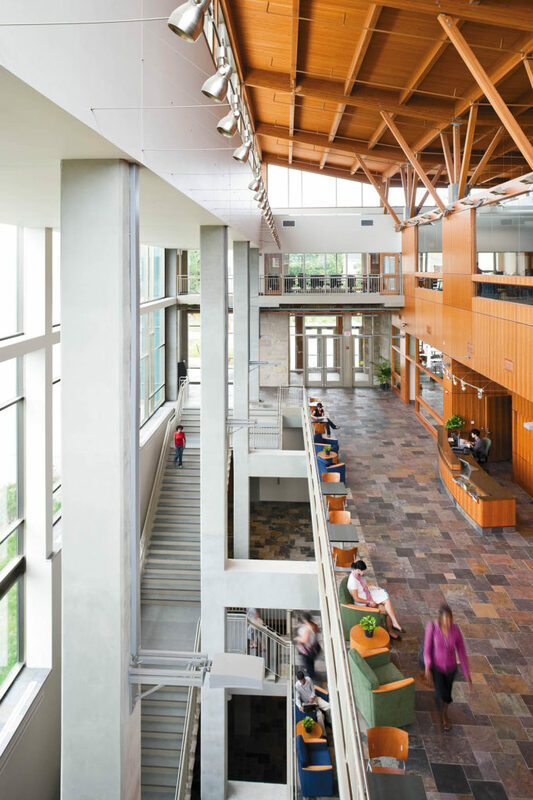 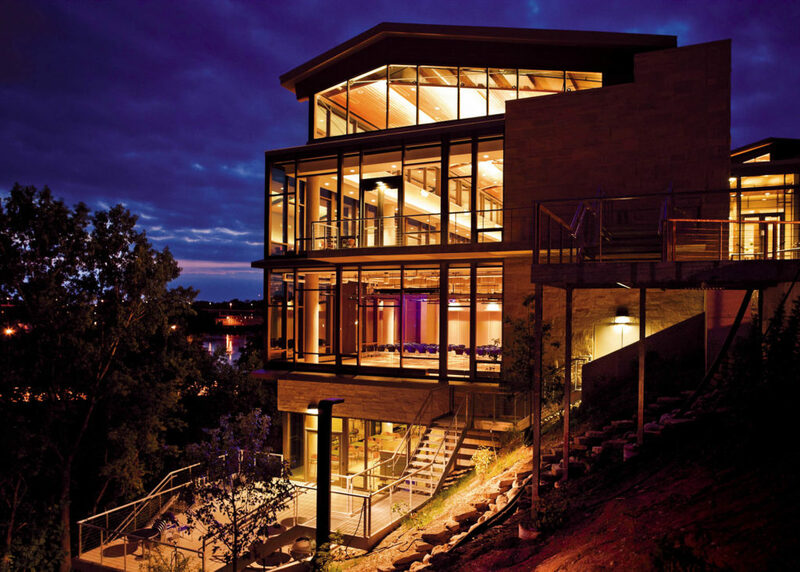 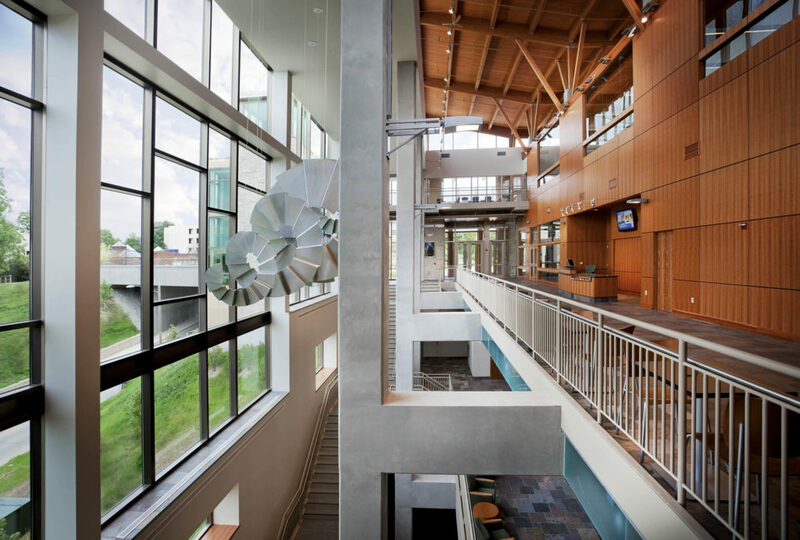 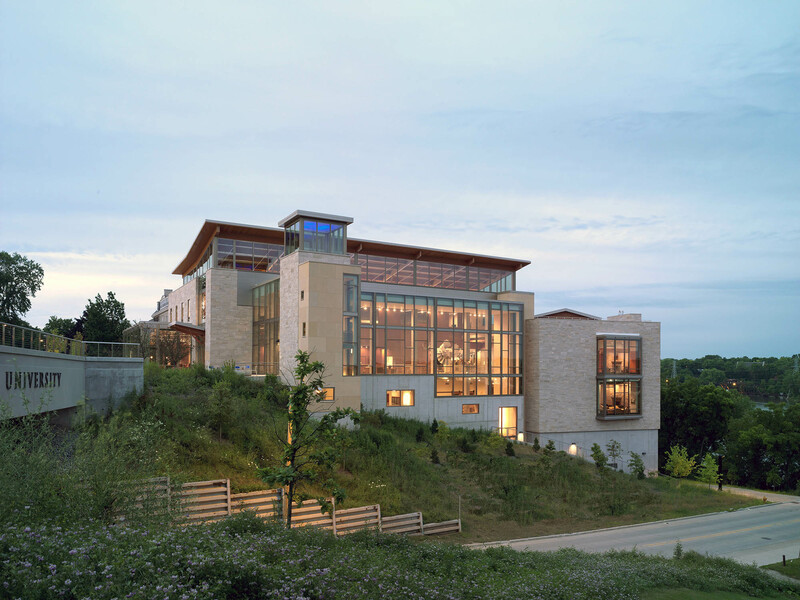 The campus center incorporates many elements of sustainable design and was awarded LEED Gold Certification, the first higher education building in Wisconsin to receive this level of certification. 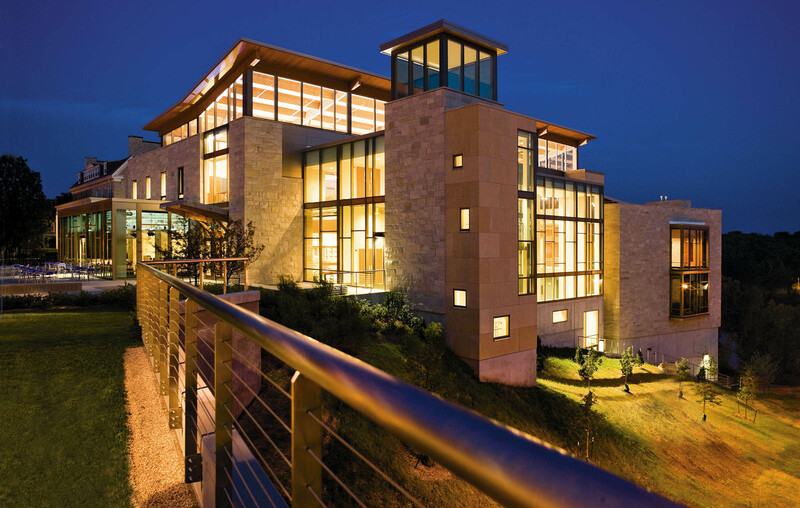 Designed in collaboration with KSS Architects.